Well at long last I have managed to get out the door and, on the river,, it has been a long time coming. Between the weather, work and a bout of man flu I have not managed to get to the river before now. As I was putting my kit in the car this morning I thought to myself, I have touched lucky seemed very mild no rain not much wind ideal. Even on arriving at the fishery the fishing gods seemed to be with me. As I was setting up however a gentle but extremely cold downstream wind was doing its best to insert a chill into my bones. I decided due to the wind to set up with the double nymph and the flies I attached were a little heavier than I would normally fish. The gentle breeze which was turning into a reasonable blow would severely hinder turning small nymphs over. 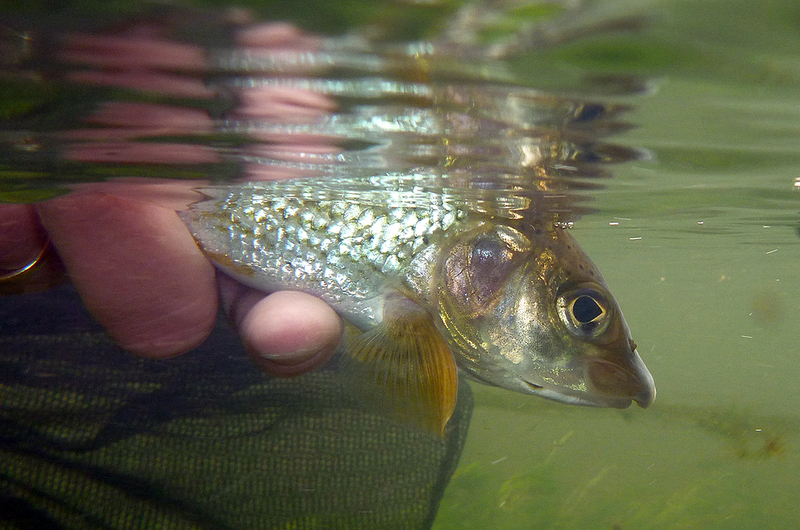 I had a little dibble just in front of the car park as usual and as usual a small but obliging Grayling took one of my nymphs. Not to be outdone a couple of casts later and I was playing my first out of season guest. I have found on Wherewell that the Brown Trout this year have just not gone off the boil and in previous trips it has not been uncommon to take double figures, would this trip be any different? 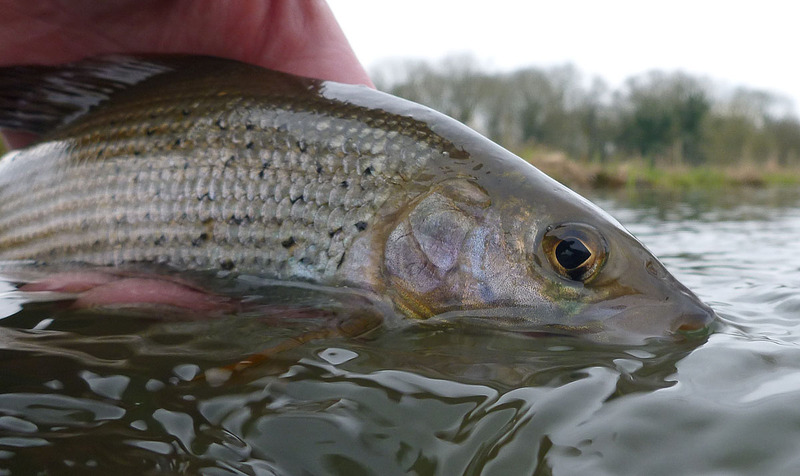 I persevered with the double nymph but after nearly two hours I still only had one Grayling for my efforts. I had worked upstream hitting all my usual haunts to no avail. I did start to sight fish but just could not get any interest, after multiple fly changes my luck did not change. At the top end of the fishery the path was still under water. The levels are dropping though and I think if the rain stays of for a couple of weeks we could be getting back to a more recognisable river. Absolutely frozen to the bone and only one fish on the clicker it was time to make a move and get warm in the process. A brisk walk back downstream saw me back opposite the car park, I fished up from there to the bridge and managed another seven. Eight for the morning session not bad considering the poor start, one last cast before a big soup and crack…… my four-piece Helios became a five piece F***K, F***K and F***K. I had just got used to using this and it was my favourite rod for this venue. At least it was a short walk to the car for my soup, the desire to pack up and go home was strong. The tight jock in me won the day, well I had spent £40 and only fished half the day. After a very welcome flask of soup, I set up my spare rod and plodded of downstream. I really like the very bottom of the beat and I knew I had the fishery to myself today, so I planned to walk to the bottom and fish up. As is normal with Wherewell and most rivers the afternoon often pick up a bit. 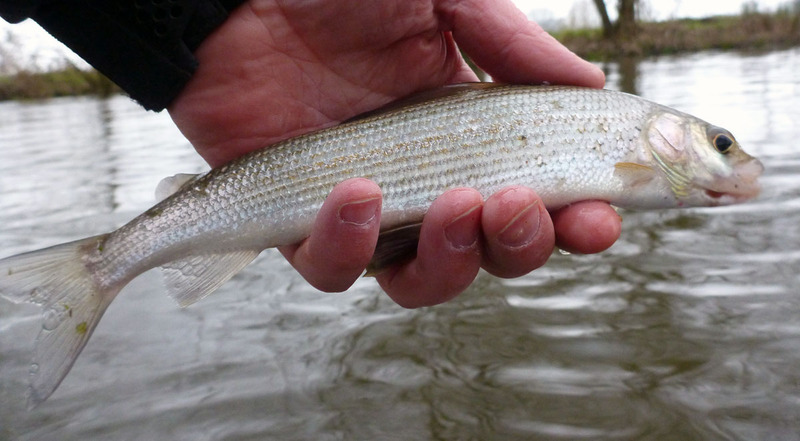 I got off to a great start with three Grayling coming very quickly. I felt I was hitting the groove until the takes just dried up. Several changes of location got me into a few more fish, but the wind was taking its toll and it was not long before the cold got the better of me. I fished half-heartedly back to the car it was only half past three but my old bones had had enough. This was a tough days fishing but still, some great fish caught that seem to be in fine fettle. The Brown trout were not so much of a problem as they have been and I only had three today. Seventeen Grayling for the day this is the lowest number I have caught on Wherewell this season. It does seem to be a lot tougher than last season, but still a good return for a day’s fishing.